Just incase you been obsessively checking your phone, looking for my latest blog (which I doubt, but I would love it if you we’re!!) I apologize for posting this about 4 days late. I started a new job on monday, one where you have to show up really early, every day of the week!!! It’s been awhile since I’ve had to do that and it’ll take a bit of readjusting. 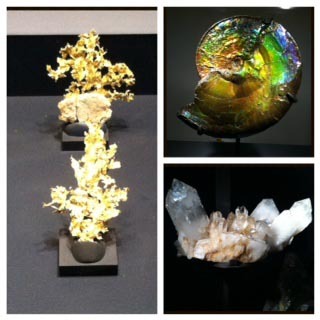 The museum of Natural History (http://www.amnh.org/) has always been my favorite in New York and since I started a new job yesterday as a diamond grader, I thought a trip to the gemology exhibit was in order over the weekend. What could be better than submerging myself neck-deep in gems, minerals and priceless jewels? Two of the standouts from the collection are the Patricia Emerald and the Star of India, blue star sapphire. The impressive 632 ct Patricia Emerald exhibits the vibrant bluish-green hue that is highly regarded as the best emerald color and often indicative of stones from Colombia. This large example was mined in Colombia, and has been left uncut to exhibit the natural crystal structure of emerald. 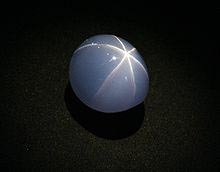 The Star of India holds the distinction of being the largest gem blue star sapphire in the world at 563 cts. Even more impressive is the age of the beautiful blue stone, approximately 2 billion years old! The sapphire exhibits a type of phenomenon referred to as asterism. Asterism is when a group of long, needle thin mineral inclusions intersect within a stone creating a star – like effect. Next time you’re in Williamsburg Brooklyn, stop by Eight of Swords Tattoo (www.eightofswords.com) to check out their exclusive collection of my jewelry.